What are we here for? God created us to Glorify him. So in word, thought, and deed Lecrae's mission is to do simply that. Understanding that Christians live as regenerate (born again) people in an unregenerate (not born again) world, he knows the odds are against him. With no ambitions of being the next big thing or dreams of fame and wealth, Lecrae simply wants to point listeners in the direction of the Cross. In the world of Hip-Hop, representing SOMETHING is mandatory. Some represent their block, some their money and privilege, and others their knowledge and culture. Without diverting from the standard of representing something, Lecrae's goal is represent Christ and a holy culture. Instead of forsaking his urban roots and flavor, he uses them to put Christ and the Bible in a light that rap fans can understand. The aim is to digest theology and spit it back out so the streets can grasp it. Lecrae's passion is evangelism and his music is aimed at others knowing the God he serves, but he realizes the work doesn't stop at evangelism, or the end of a show. Jesus said to go make DISCIPLES, people that obey him and follow him. He often meets with close brothers in the Lord to pursue holiness, humility, and discipleship. Lecrae is a part of the body of Christ, in the battle with you to share Christ with the world. If the message is the meat then the seasonings are the rhyme patterns, urban beats, and relational themes. 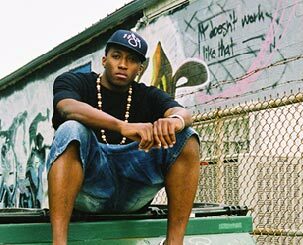 Hip-hop has proven to transcend race and background, though losing some of it's vigor and integrity in the process, Lecrae wants to remain true in his music and ministry....UNCOMPROMISED.